The FDA has been asked by Public Citizen, a consumer group, to put black box warnings on Cipro and Levaquin, a class of antibiotics known as fluoroquinolones. There is a risk of tendon rupture and the current warnings are not adequate to warn consumers and health care providers. 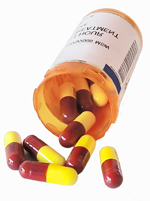 "Tendon ruptures associated with these drugs continue to occur at a disturbing rate but could be prevented if doctors and patients were more aware of early warning signals, such as the onset of tendon pain, and switched to other antibiotics," said Sidney Wolfe, director of Public Citizen's Health Research Group. "The FDA must act and require black box warnings and patient information guides. I think most of the anti-biotics have side-effects from mild to serious. So they should put warnings on all of them.